We do not have such granular control over individual menu items or other pieces of UI. 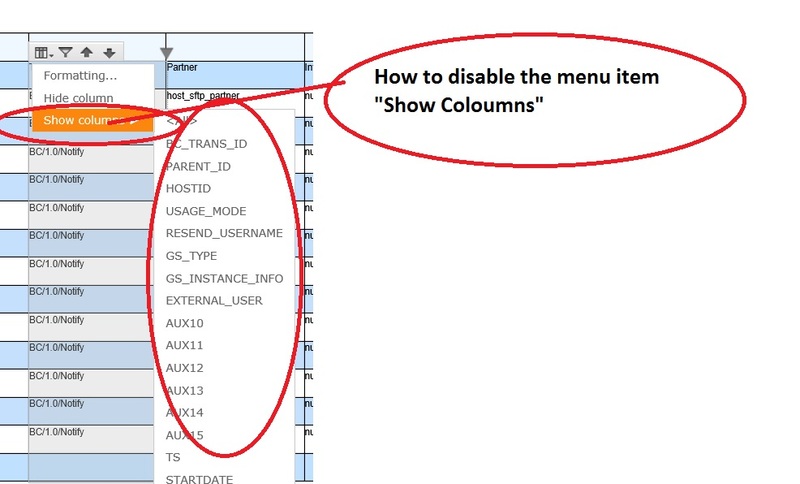 The table as a whole or entire columns can have their interactive feature turned off completely. Not sure if we'll ever introduce configurations to control UI at such level of detail. please check the attached word document for more details about the issue ,we are unable able to use the hyperlink feature of JasperReport properly in the report not sure its a bug or we missed out some thing in configuration ....Please help ASAP. Let's not use the same tracker for multiple issues.